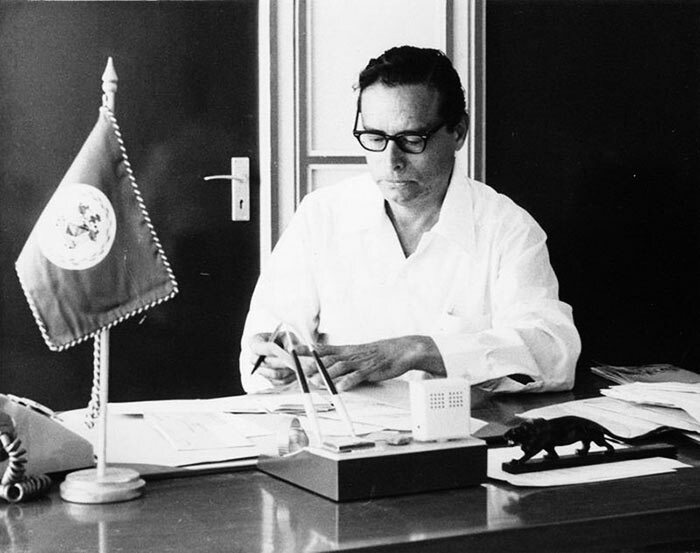 Today Tuesday, January 15th, Belize’s first Prime Minister and founder of the country’s Independence Movement would have been 100 years old. The Father of the Nation, as he is fondly referred to, was also the founder of the People’s United Party (PUP), and he began a peaceful and constructive Belizean revolution in 1950, leading to independence from Great Britain on September 21, 1981. He is remembered as a remarkable man who gave the Belizean people a sovereign and free nation with its territorial integrity intact, despite the threat of the Guatemalan territorial claim. 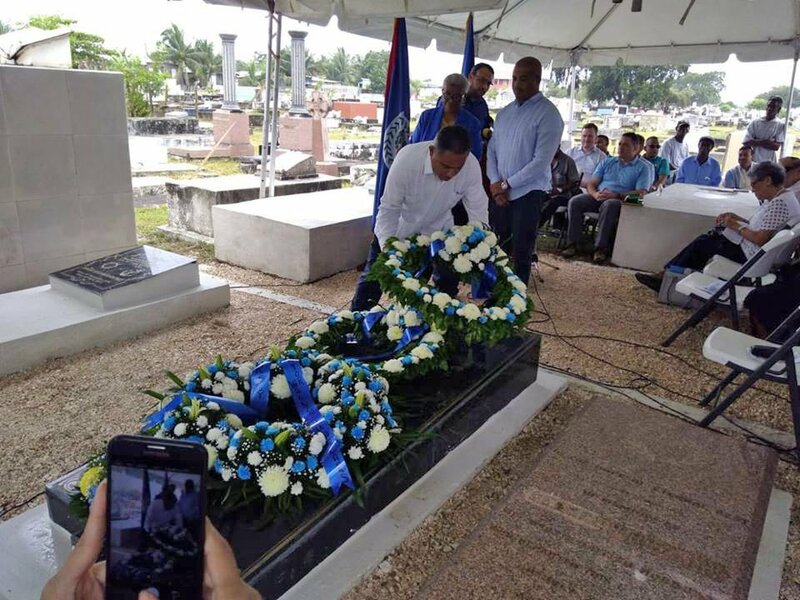 Although he passed away on September 19, 2011, Belizeans continue to praise and pay tribute to the nation’s renowned hero with special events across the country. One of those events was a special remembrance ceremony held at Price’s gravesite at the Lord’s Ridge Cemetery in Belize City. The event was hosted by members of the PUP political party, who along with friends and guests, commemorated Price’s 100th birthday. 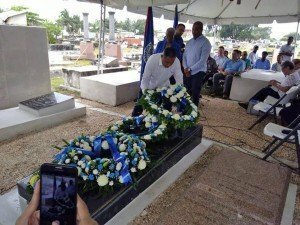 He was remembered as a humble politician, who waded through thick and thin against the odds that opposed Belize’s independence. Some of these obstacles included protests from the Opposition, claiming that the former British Colony was not ready for independence until there was a settlement of the Guatemalan claim. Price, however, was determined, and would not entertain the idea of Guatemala having any rights over Belize and went ahead with his fight for independence. He sought the support of the United Nations (UN), and after its General Assembly passed a resolution in favor of his petition, along with support from the Security Council, the path for Independence Day was cleared on November 11, 1980. The UN resolution was approved by 139 votes and seven abstentions. Guatemala was the only country to vote against it. Price was born in 1919 in Belize City in what was then known as British Honduras, to William and Irene Price. He had ten siblings and was educated at Holy Redeemer Primary School and St. John’s College High School. Under the Jesuits, he was exposed to the teachings of the Catholic religion and remained a devoted Roman Catholic throughout his life. His first taste of politics was in 1947 when he won the municipal elections and served as the Mayor of Belize City. In 1950, following the devaluation of the Belize dollar, Price and a group of colleagues formed a committee that later became the current PUP. The political career made him a member of the Legislative Council from 1954 to 1961. Then from 1961 to 1964, he served for the Legislative Assembly and First Minister as well when British Honduras (Belize) obtained self-government from the British. 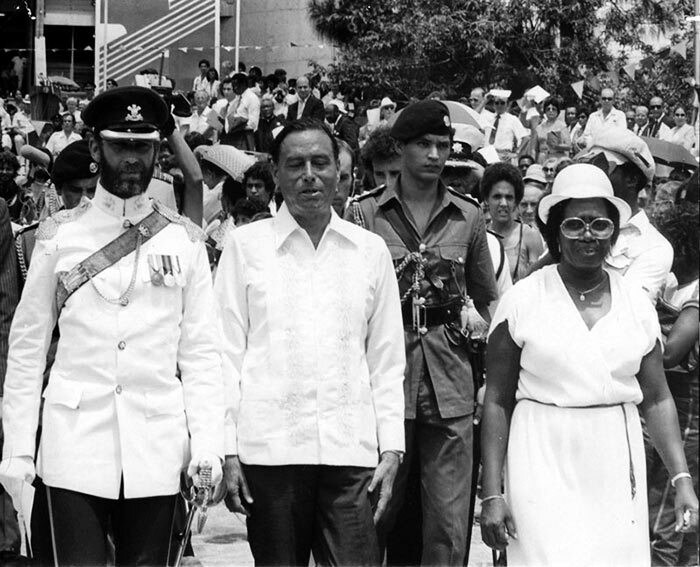 Price consequently became the Prime Minister on Belize’s Independence Day in 1981, serving in that capacity in two separate periods. The first from 1981 to 1984, and from 1989 to 1993. The Right Honourable George Cadle Price was made a member of the Privy Council of the United Kingdom in 1982. In 2000, he was declared a National Hero by the Government of Belize, and a year later, Price was honored with the Order of the Caribbean Community. 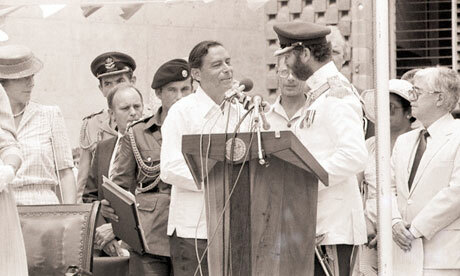 Also, in 2005, Price was honored with Cuba’s highest recognition, the Jose Marti Award by then President Fidel Castro. Belizeans across the country will continue to remember the Father of the Nation, because of his devotion to the people and our beautiful country. The San Pedro Sun joins the entire nation in remembering the Right Honourable George Cadle Price on the anniversary of his 100th birthday.